The December meeting was a great success! We had our annual Christmas pizza party. Lots of folks brought in models to show and discuss and everyone had lots of pizza and desserts. Ethan Idenmill demonstrated how to update the website to those persons interested in contributing. Also, we finally announced that the long-awaited delivery of the new website would be before Christmas, one month ahead of schedule! Attention Members – Unfortunately due to technical difficulties with the camera, many of the pictures from the December meeting came out blurry. I apologize to those members whose pictures are not shown here, but that is the reason for their omission. -Ethan Idenmill, Webmaster. We had a great turnout for the Christmas Party! There were also a lot of models that on display. Tony Beres brought back his 1/32 Tamiya Mosquito. Tony Beres' next project will be this 1/32 P-39 by Kittyhawk Models. Dustin Ferris brought in his 1/35 Tiger. Dustin also brought in this 1/72 Panther. Mark Manuzon brought in this 1/35 Tiger. Tim Latham bright in his 1/35 diorama in progress. Richard Abraham brought in his 1/48 AMX fighter. 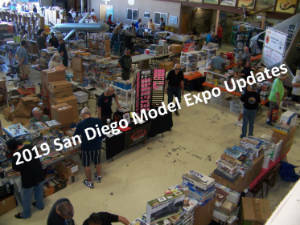 David Hansen brought in his 1/32 Tamiya F-4U Corsair.